Put your wide based saucepan on a medium to high heat. Add the popcorn. Shake the pan the odd time. Wait for a minute for it to start popping. Put the lid on and turn the heat down to medium. Start making the wasabi mix. The odd time agitate the saucepan to stop the popcorn from burning. Put your wasabi powder in a bowl. Add four dessertspoons of nutritional yeast and your black pepper and salt. Put in the olive oil and mash the ingredients a bit. It should be kinda bread crumb… crumbly. 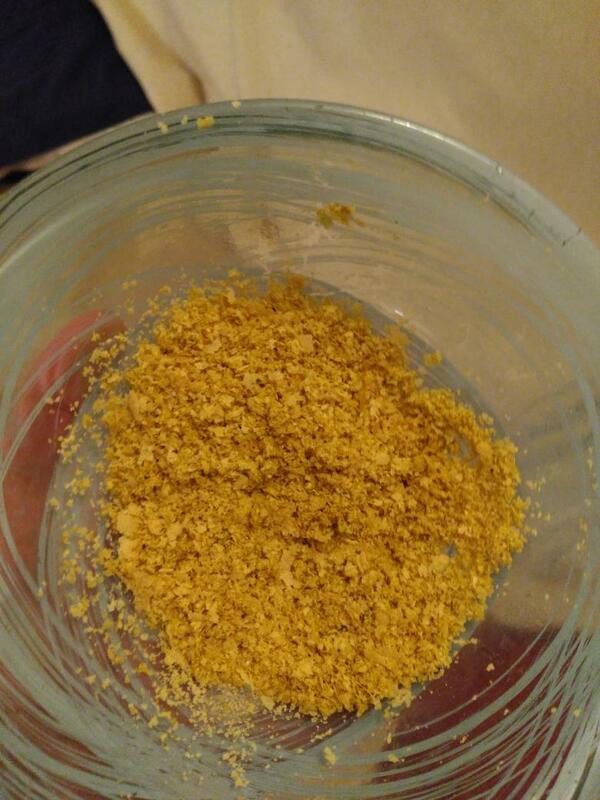 Add in the rest of the nutritional yeast, mix again. Taste add more wasabi if you would like it hotter. Ta-da! Once the popcorn is only popping a few times every 30 seconds, take it off the heat. 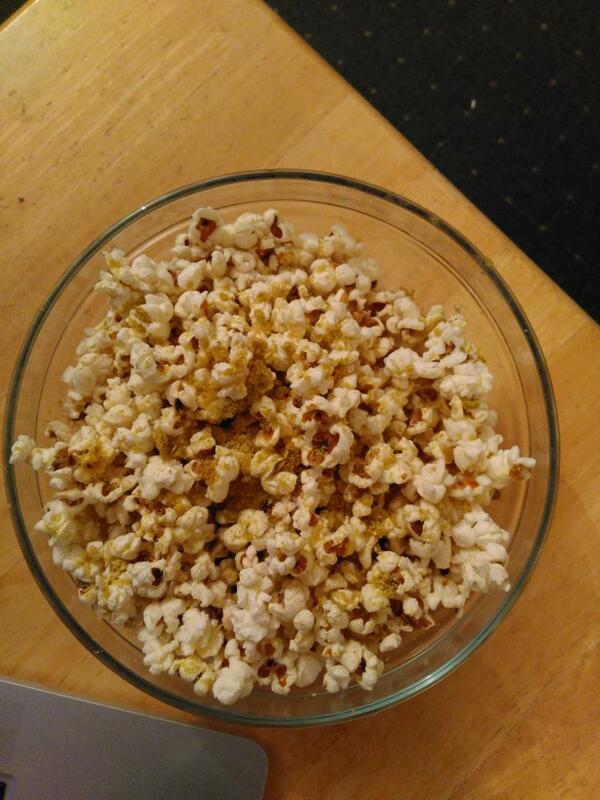 Put some of the wasabi mix in a bowl and pour your popcorn in the bowl. Add more of the wasabi mix on top. Keep some to the side for adding more. Yum! Can’t wait to try it!